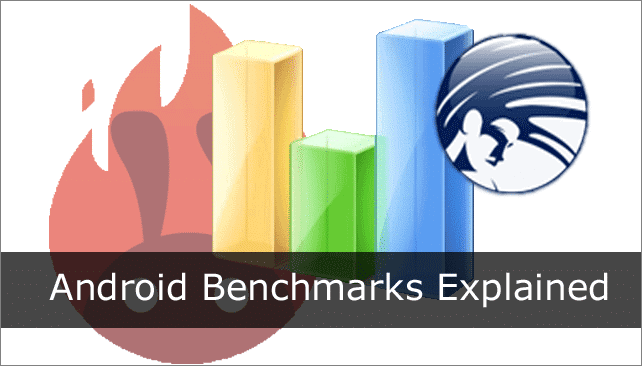 Benchmarks are a mainstay of Android device reviews. Like any other publication, we at TechNorms use them as well. They’re a convenient way to measure the performance of a phone or tablet. You see them on iOS as well, though not as much. iPhones have never been about processors and scores the same way as Android. However, what do they mean? When we say that a phone scored a certain level on a certain test, what does that actually imply? What do benchmarks measure, and why should we care about them? We took a look at a few of the most popular ones and put together a quick primer. At the most basic level, a benchmark is an app that measures how fast your phone can run something. It subjects the phone to a series of tests to find the upper limit of its capacities. The idea is that if you subject the phone to enough stress, you can find its maximum performance. That performance can be given a numerical rating, with each number relative to other scores. That’s the thing with benchmarks. There’s no absolute scale. Every benchmark rates apps by its own scale. You can’t compare two benchmark apps, just two devices running the same benchmark. Benchmarks can measure anything, though most focus on hardware performance and speed. For example, Quadrant and AnTuTu run a bunch of high-speed calculations past the processors to see how fast they can run it. You can get a sense of how a phone performs in different modes from scoring different parts of the phone’s performance. Most of the time, the phone runs from a single core. Even dual and quad-core devices use only one core at a time for everyday tasks like navigating the OS and switching apps. A phone’s single-core performance usually correlates to how “snappy” it feels in most tasks. RAM tests show how well your phone can hold up with multiple apps, or with apps that require lots of processing. If your phone does well on AnTuTu’s RAM test, it will probably multi-task well. You can guess how a phone can game by checking its multi-core and graphics benchmarks. Games get the chips fired up and running. Phones with big processors and a good GPU can handle high-end apps better than most. Lastly, web benchmarks like Sunspider can measure a phone’s internet performance. Why Should I Bother With Benchmarks? Benchmarks are a good way to measure a phone’s raw abilities. They can show you some rough numbers of how a device might perform in most situations. However, take them with a grain of salt. Benchmarks do not always reflect real-world performance. For example, the Galaxy S4 has excellent benchmark scores on the stock TouchWiz ROM, but the CyanogenMod 10.2 ROM I tried felt much snappier in everyday use. Same phone, same chip, same Android version, but the ROM changed everything. That’s not even counting the fact that Samsung got caught trying to cheat on several of the most popular benchmark tests. Benchmarks are helpful but don’t take them as gospel. Benchmarks are useful indicators. They can’t tell you everything about how a phone performs, but they can give you an impression. Keep that in mind and choose wisely.